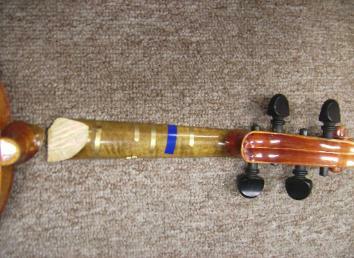 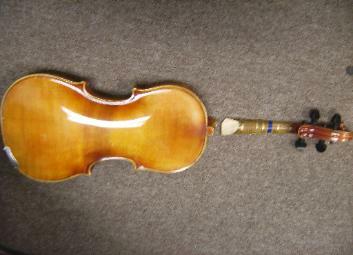 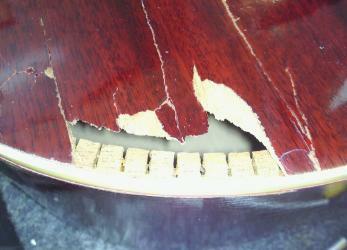 Luthier Steve Lamb has been providing quality instrument repair in Fort Worth for over 30 years. 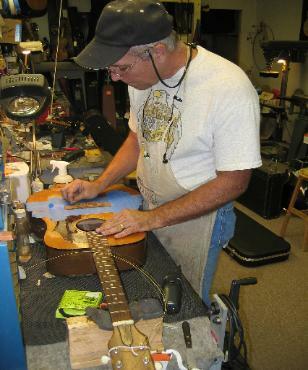 Steve’s years of experience has provided musicians, collectors, students and friends the information and service necessary to keep their instruments in shape. 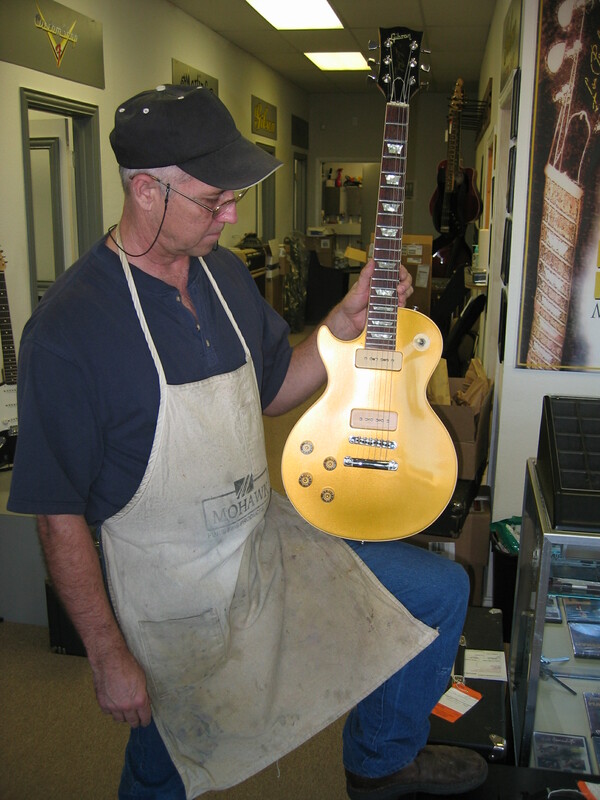 Lamb’s Music is an authorized service/warranty center for most guitar manufacturers including – Fender, Gibson, Martin, Taylor and more. 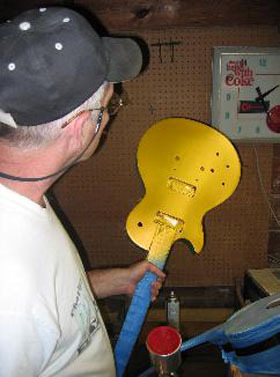 Our staff of trained and very experienced techs can tackle any of your guitar repair and customization needs. 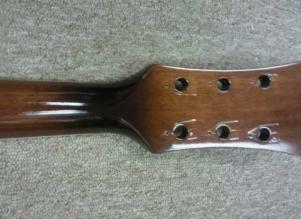 Everything from restring to refurbish. 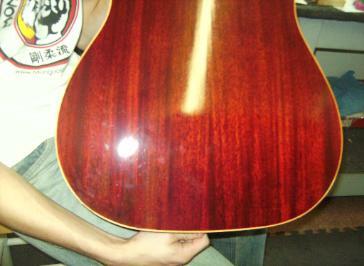 * Setup – (adjust action, clean and condition fretboard, clean frets, set intonation, restring, tune and polish). 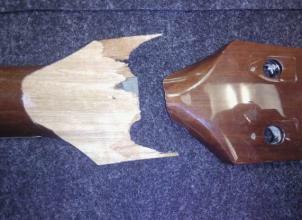 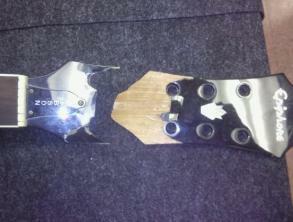 Here is an Epiphone Acoustic with a broken headstock repaired. 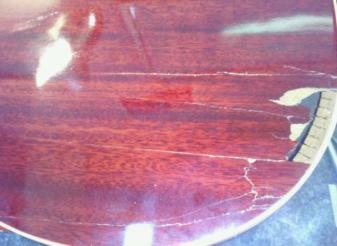 Repaired back on an older Gibson Acoustic. 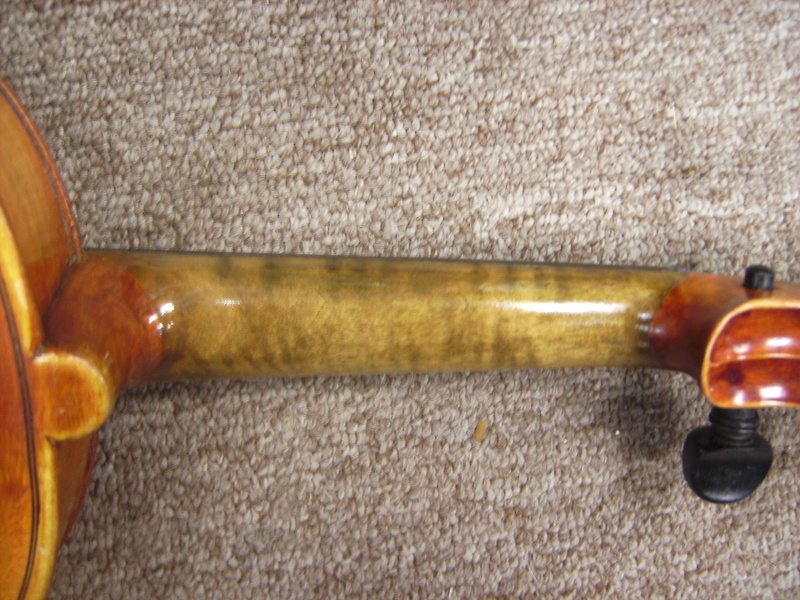 Click on any brand below to see our authorization status. 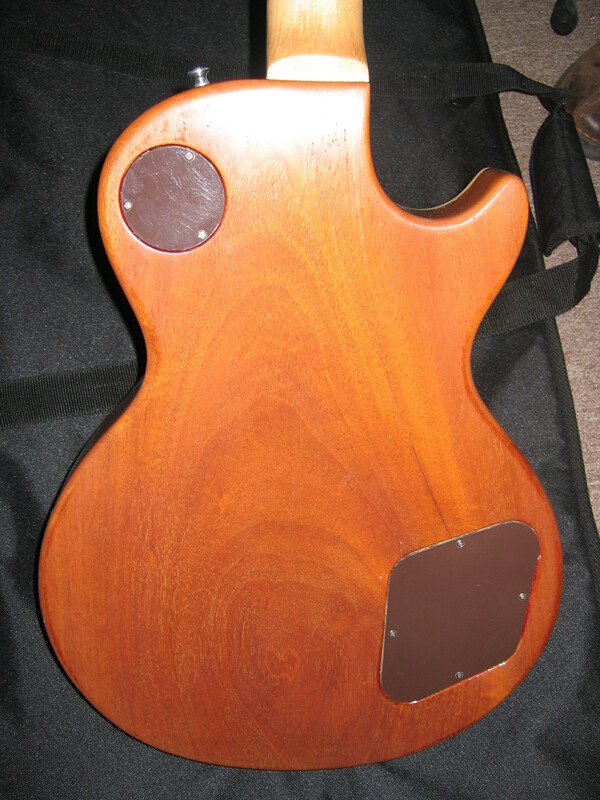 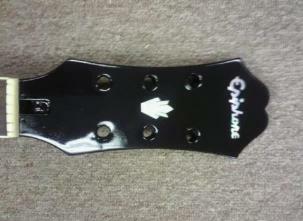 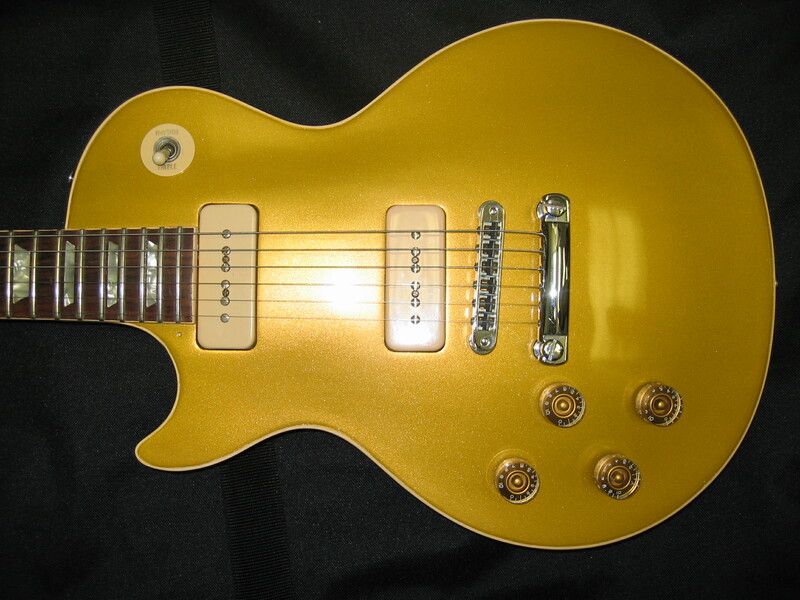 Here is a Les Paul that was once routed for a Floyd Rose Tremolo. 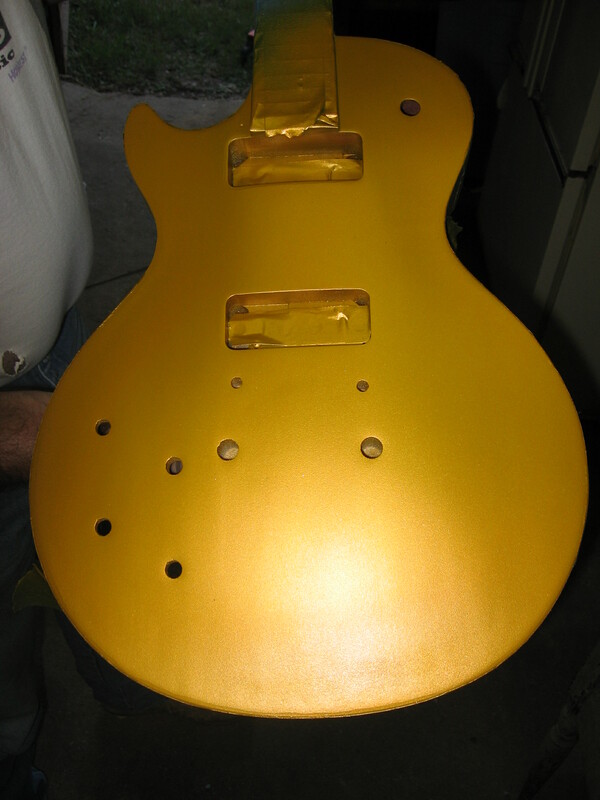 We filled and repaired the body and gave it a new Gold Top Finish. 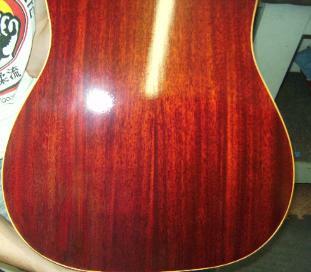 Amanda touching up the finish on the repaired neck.